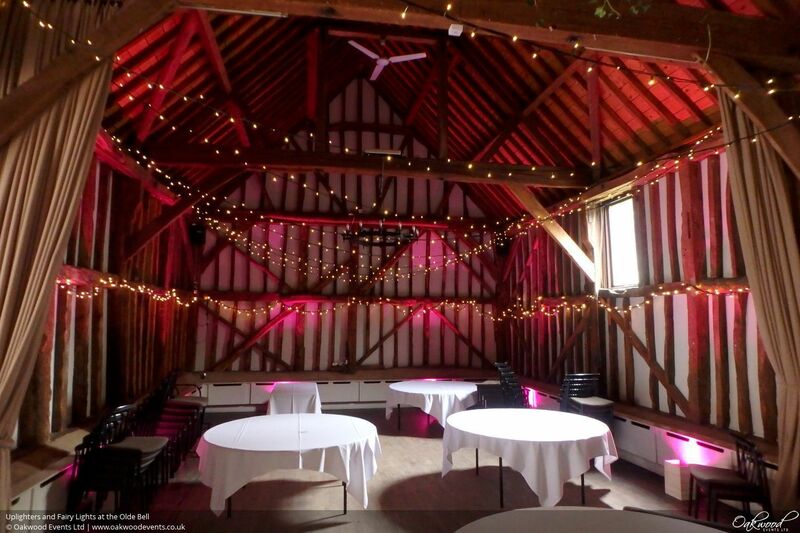 We installed this zig zag fairy light canopy with colour-changing LED uplighting for a wedding in the Tithe Barn at the Olde Bell in Hurley. 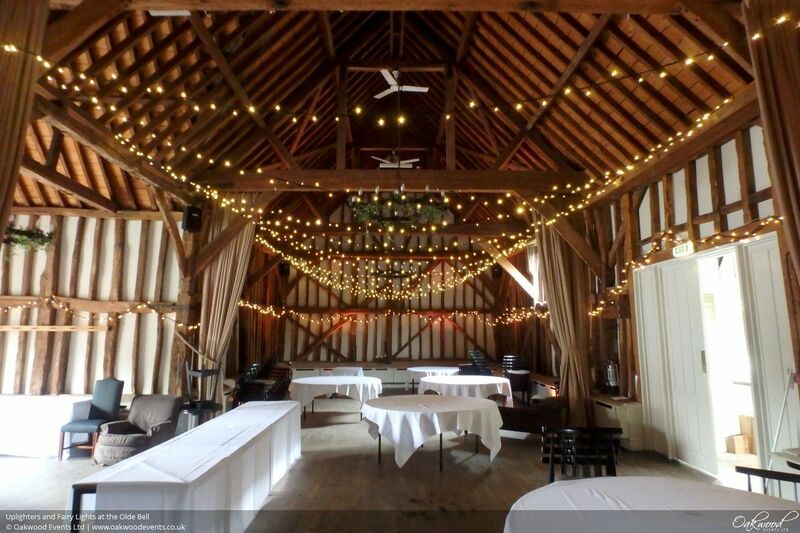 We used warm white fairy lights on black cable to match the barn's existing lights around the walls of the barn. 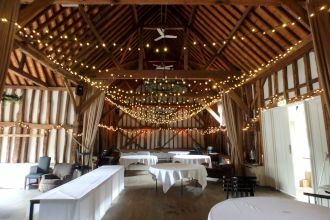 The lights were suspended side to side in a zig-zag canopy covering the whole main section of the barn. Power supplies are limited in the barn, so to avoid trailing cables we used our wireless LED uplighters to uplight the walls, which were supplied with a controller set to warm white for the day and colour-changing for the disco in the evening. Several of our lighting services are suitable for the Olde Bell. Feel free to contact us to discuss lighting ideas for your wedding or event. Thank you for providing such a great service at our wedding. The lights looked absolutely spectacular and the installation was a stress free process for all.